I hope you are having a wonderful week! We are having up and down weather here - cold then warm, dry then rainy - so it has been an adventure in dog walking here. 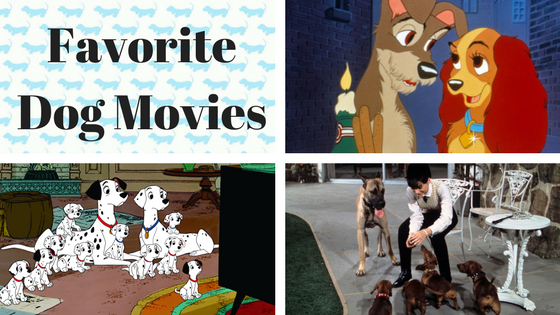 I have a new series coming up about Favorite Dog Movies and I would love to hear about YOUR favorite dog movies. I'll share my favorites -- but look for longer posts about them in the future! My all time favorite is The Ugly Dachshund. 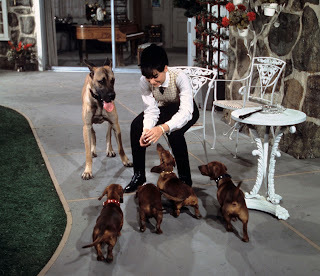 It is a live action Disney movie starring Suzanne Pleshette, Dean Jones, a Great Dane, and of course, several Dachshunds! I also love Lady and the Tramp. Momma says it is her favorite childhood animated movie. I say it is actually a love story (sigh!). 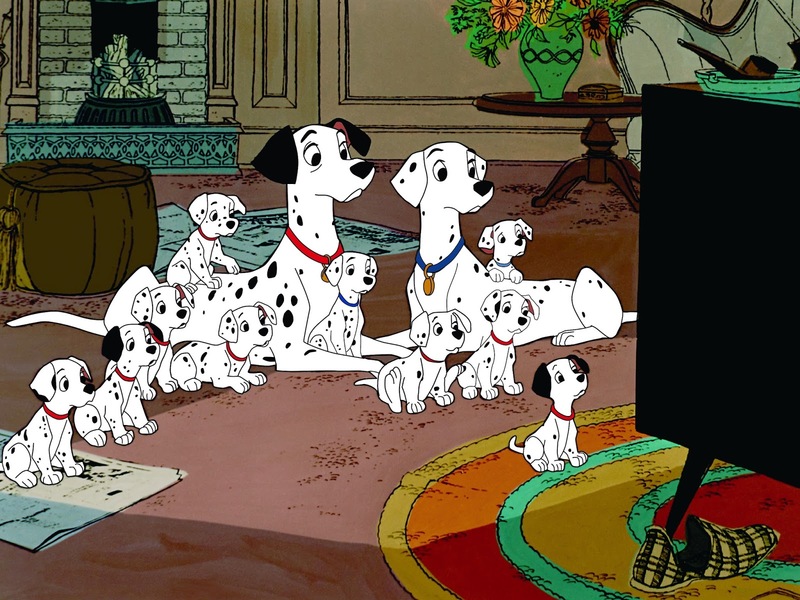 And then there is the great Disney classic 101 Dalmatians! 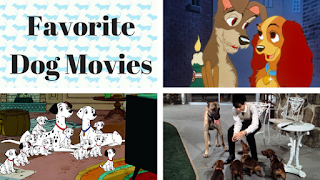 What are YOUR favorite dog movies? I would love to hear about them so I can feature some of your favorites in future weeks. Hands down Oliver and Company & Homeward Bound 1 and 2, are the best dog movies for me. I actually have a Lady and The Tramp framed print too. I'm an animator so I love animated films altogether. Ball is a good movie too though. I LOVE the animated 101 Dalmatians movie. I must have watched it 50 times with my kids. I think Bethoven is my fav. I remember watching it so much growing up. Oh and milo and otis! Lady and the Tramp was one of my first movies ever. It will always hold a special place in my heart. Oh c'mon. There is no better dog movie than Old Yeller. It's a must-see for everyone! I like the classic "Lassie Come Home" based in England and made in the 1940's the most. I loved 101 Dalmatians!!! I just realized I don't think my kids have ever seen that movie. 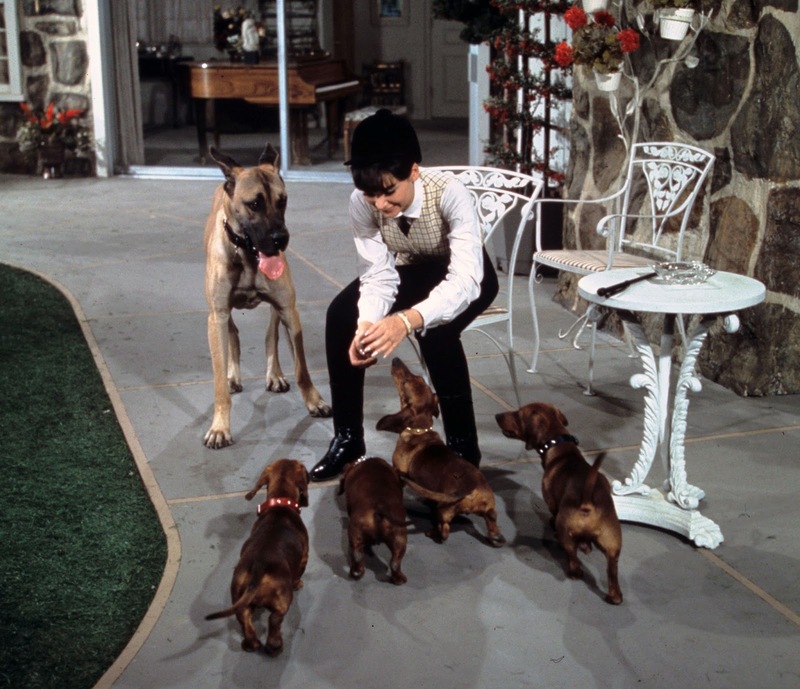 I always loved 101 Dalmatians and Milo & Otis. 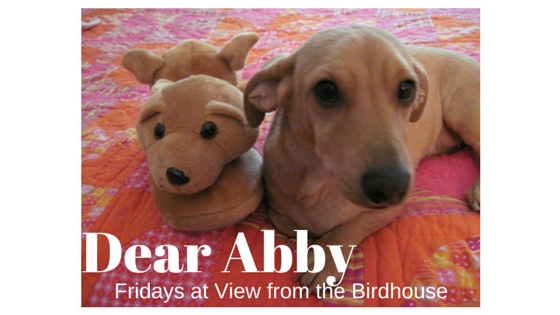 Also, Marley & Me, too! Ohh man, The Secret Life of Pets comes to mind for me! I must be old lol all these animated movies are great but where the red fern grows is the best. Lady and the Tramp is a fave. I used to own it (VHS, lol), but I don't anymore. I miss it!! Thanks, friends! I enjoyed reading about your favorite dog movies, and will be sure to feature some of them in upcoming blog posts.